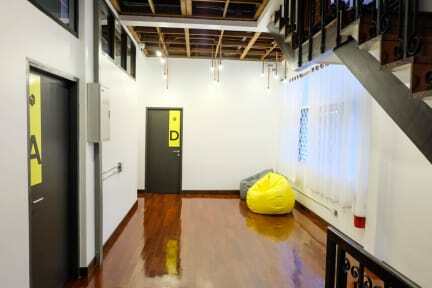 Thai Time Hostel is located on Wualai Road, just steps away from famous Saturday Night Market. Within walking distance to Chiang Mai Gate, Chiang Mai Gate fresh market, old city walls and walking 10 minute to Sunday night market (Sunday Walking Street). The best know temples Wat pha-singha,Wat Chedi Luang ,Wat sri suphan (Silver Temple) are including. Thai Time Hostel is a modern Thai style 3 floor building with female dorm, mixed dorms, and private room and designated outdoor areas available for smoking, There is rooftop terrace for relaxing, talking and make friends from different countries. - big locker for every bed and key card access system. 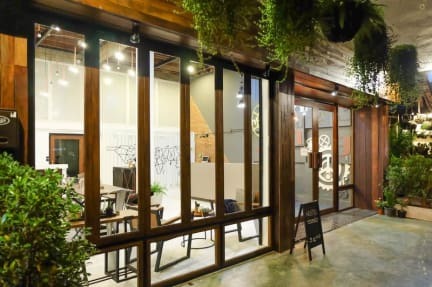 Thai Time Hostel offers bicycle or scooters rental and also tours and ticket assistance, which you can book a tours around Chiang Mai half day or full day trips from many famous agents with us. Our staff will be happy to assist with all your needs. 2. Check-out Time: 12:00 noon. 3. Payment: Cash (THB) payment only upon arrival. 4. Cancellation Policy: At least 7 day advance notice before the arrival date is required. 5. Adults Only: We are unable to accommodate children at our hostel. 6. A refundable key card + towel deposit of 200 Baht will be collected when check in. 7. Reception Hours: from 08:00 to 22:00.